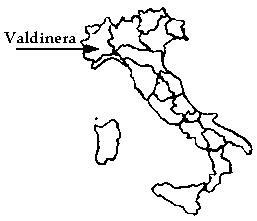 Located in the heart of Piedmont near the city of Alba, the Valdinera estate has been farmed by the Careglio family for four generations. At present, it consists of about 41 acres of which 22 are vineyards. Currently, “Beppe” Careglio grows Barbera, Favorita, Nebbiolo and, of course, Arneis. Tasting notes: No oak. Just the essence of the grape - and a relatively unusual grape at that. Grown in the Roero area of Piedmont, this fine, dry 100% Arneis suggest peaches laced with hints of honey --- a delicious white from a region best known for some of Italy's most famous reds.